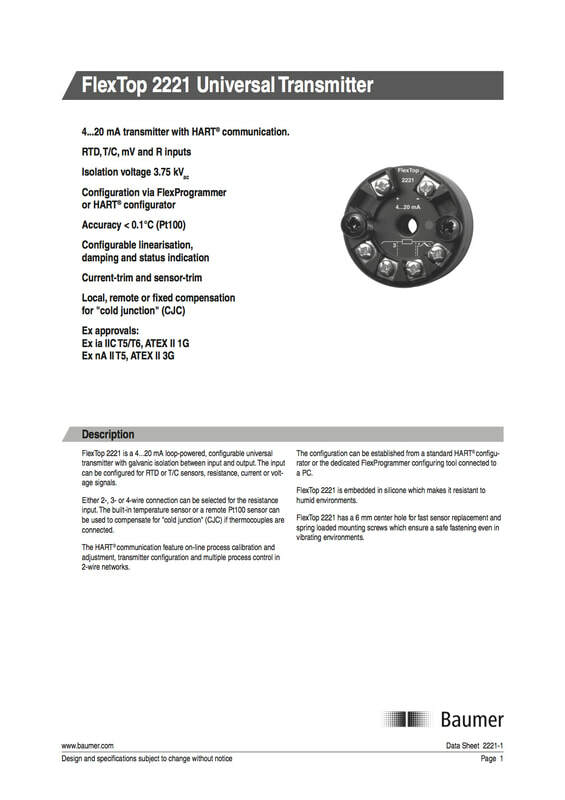 The CombiTemp® TFRN/TFRH. 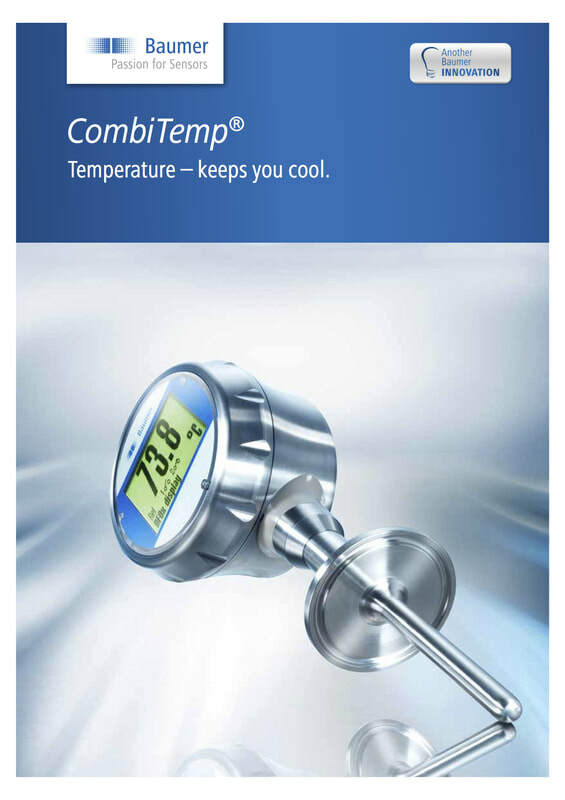 The CombiTemp® is a high end temperature transmitter for accurate and reliable temperature measurement in both industrial and hygienic applications. The instrument is well suited especially in applications which demand for highest precision and perfect visualization. FlexTop 2202 is a 4...20 mA loop-powered transmitter for Pt100 sensors. 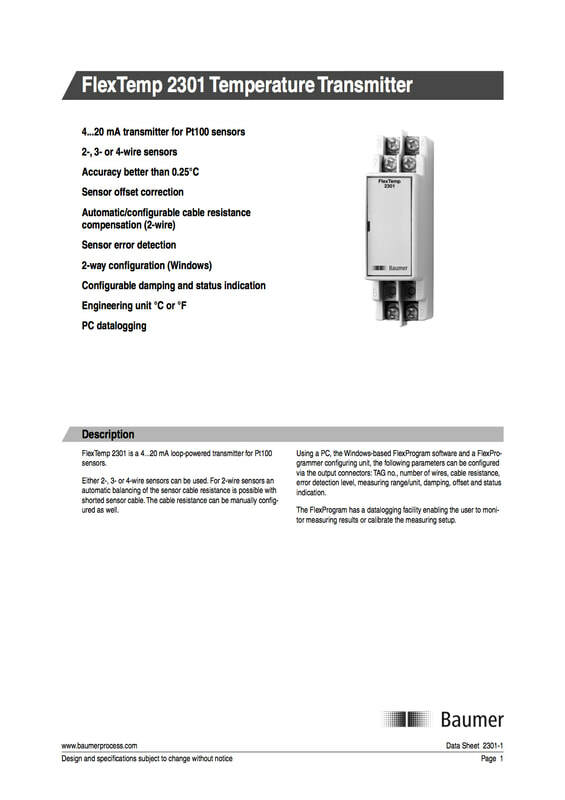 Either 2-, 3- or 4-wire sensors can be used. 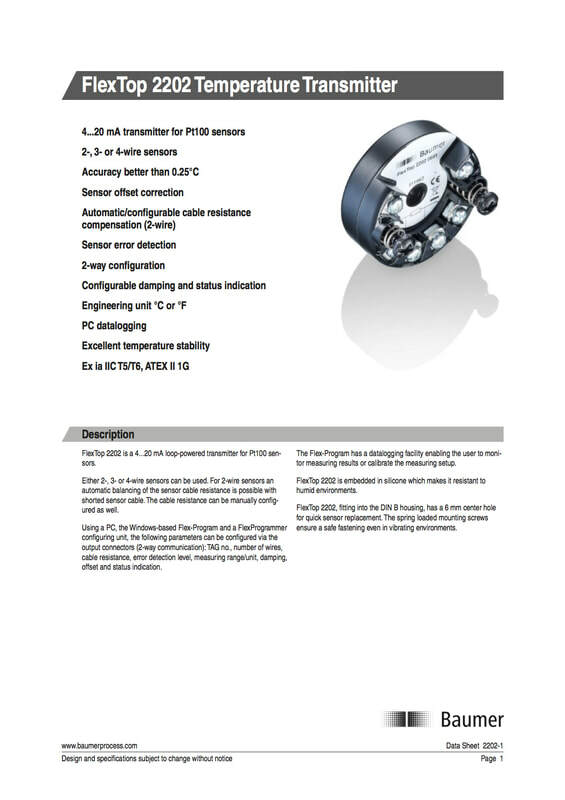 For 2-wire sensors an automatic balancing of the sensor cable resistance is possible with shorted sensor cable.